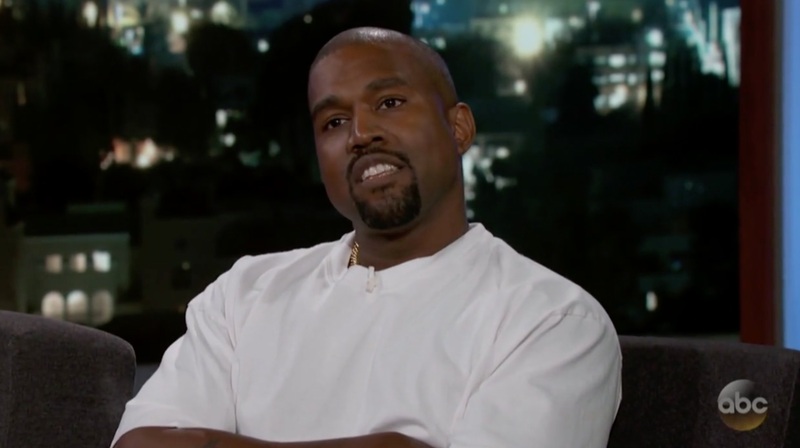 Kanye West sat down with Jimmy Kimmel and discussed politics and his support for President Donald Trump. Before probing West’s ideology, Kimmel began by asking the rapper if had any interest in designing the suits for Space Force if the president ever asks him. “I’m into designing,” West chuckled. West told Kimmel how passionate his wife Kim Kardashian was when helping Alice Johnson be granted clemency after been sentenced for life for a first-time drug offense with her visit to the White House. “Well, he is a player,” West smirked. On the backlash he faced for expressing support for Trump, he began by comparing Trump to his cousin who is locked up for murder and that he still loves him even though he did a bad thing. “Just as a musician, African-American, guy out in Hollywood, all these different things, you know, everyone around me tried to pick my candidate for me. And then told me every time I said I liked Trump that I couldn’t say it out loud or my career would be over,” Kanye West told Kimmel. “I’d get kicked out of the black community because blacks- we’re supposed to have a monolithic thought, we can only like, we can only be Democrats and all. So, even when I said it right before I went to the hospital and I expressed myself, and when I came out I had lost my confidence. So I didn’t have the confidence to take on the world and the possible backlash and it took me a year and a half have the confidence to stand up and put on the hat no matter what the consequences were. And what it represented to me is not about policies because I’m not a politician like that, but it represented overcoming fear and doing what you felt, no matter what anyone said, in saying, you can’t bully me. Liberals can’t bully me, news can’t bully me, the hip-hop community, they can’t bully me. Because at that point, if I’m afraid to be me, I’m no longer Ye. That’s what makes Ye. He added that he “enjoys” when people are mad at him.